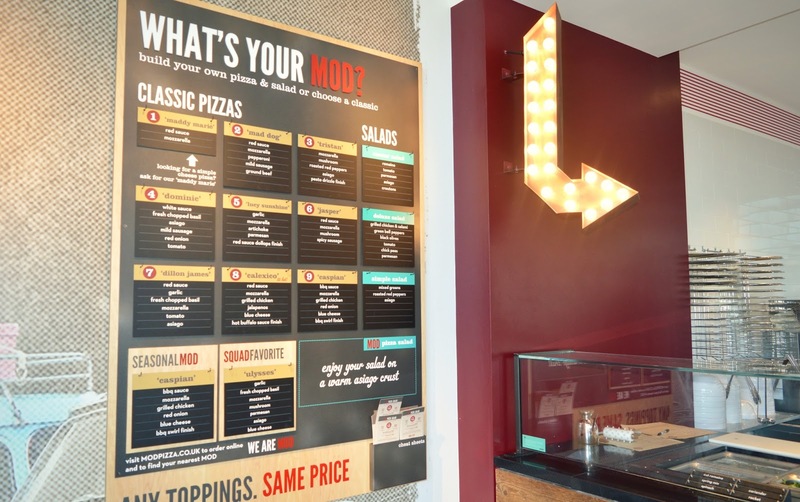 Walking into MOD pizza is a little like what I imagine walking into a mini pizza factory to look like - bright, clean and fresh toppings as far as the eye can see. There is an option to order a classic pizza (margarita, pepperoni, etc) but I assume most people would opt to create their own from scratch. 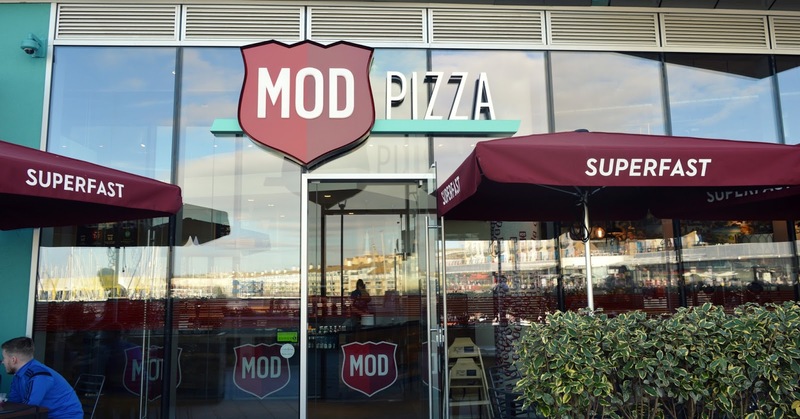 The first thing that needs to be chosen is your pizza size; a Mini (6") is £4.47, a Mod (11") is £7.47 and a Mega (double 11" crust) is £10.47. 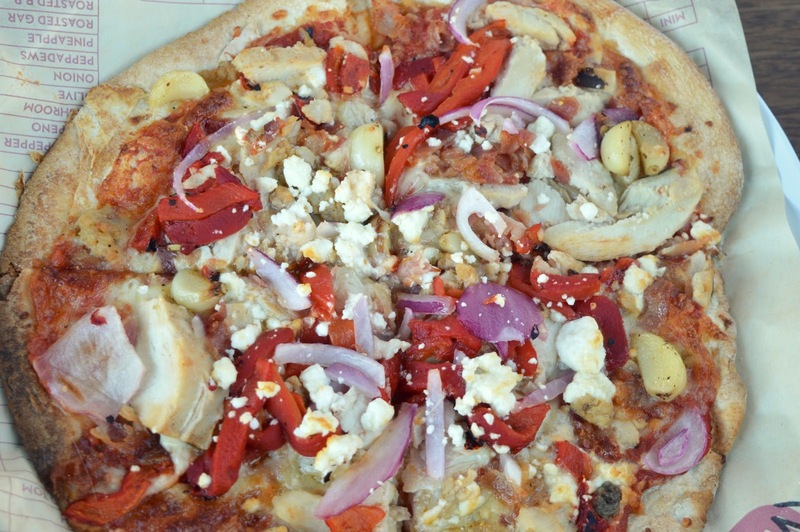 And you can add any toppings you like without it affecting the price of your pizza. So in this situation it's a human being's instinct to pile on the toppings, obviously! 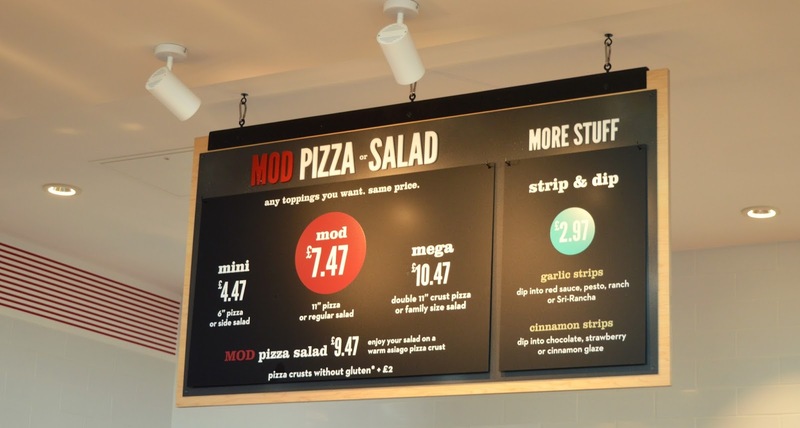 Lewis and I both ordered an 11" Mod pizza each. After selecting a tomato and cheese base it was time to choose our meats, veg, cheeses and sauces to go on top. Lewis, naturally, had just about every single topping on his pizza but I was a little more selective as I'm not too good with a big amount of spiciness. On my pizza I chose to have chicken, spicy sausage, a little bit of bacon, red onion, roasted garlic, red pepper and feta cheese to top it off - yum. 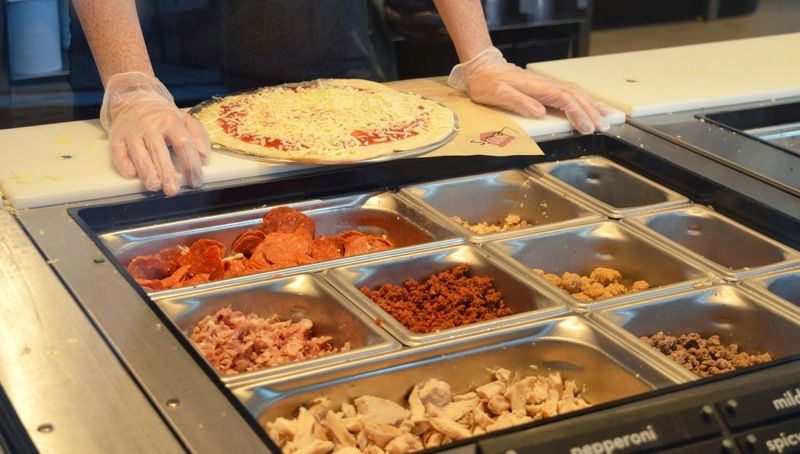 I love that you can see every topping freshly in front of you and actually watch it being put onto your pizza; it's good to see exactly what's going into it. 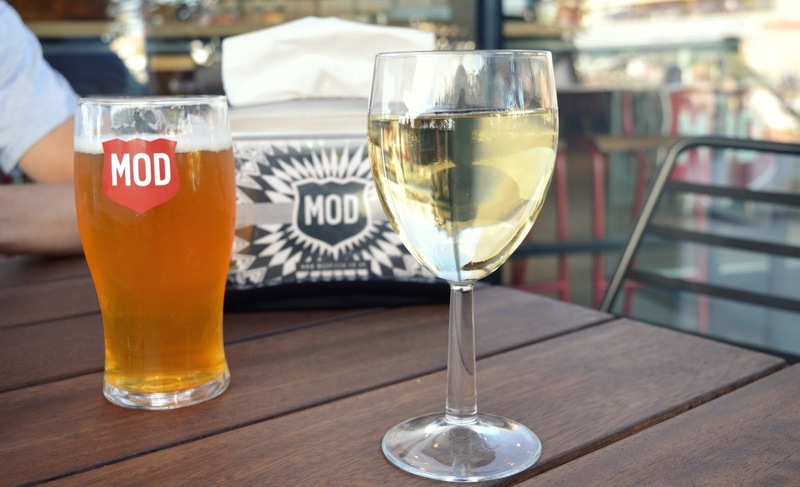 We ordered a glass of wine and a pint to go with them and watched as both our pizzas entered a huge oven to be cooked - and then went to sit outside and relax.. 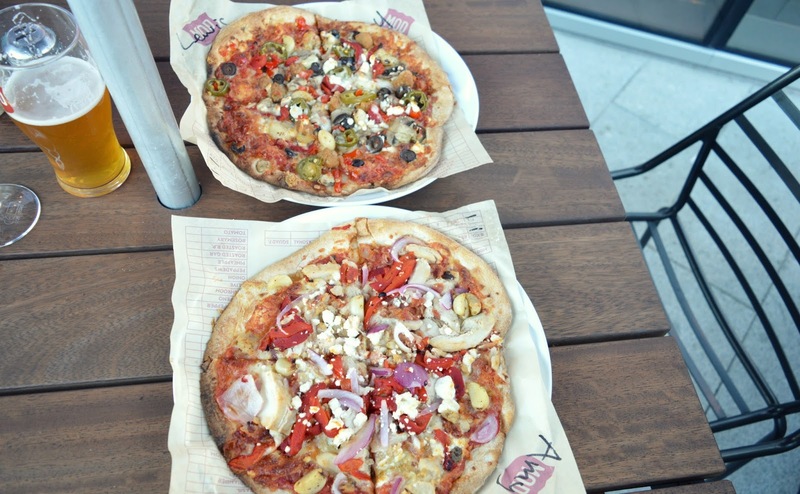 When our pizzas arrived (rather quickly and promptly), they were absolutely delicious. I'm not sure if it was just seeing all of our fresh toppings before us or how we watched our pizzas transform from a just piece of dough, but something about it was pretty damn good. They were cooked to perfection, absolutely loaded with our selection of toppings and came with an option of a selection of sauces too (pesto, mayo, etc). Definitely the best pizza I've personally tried. 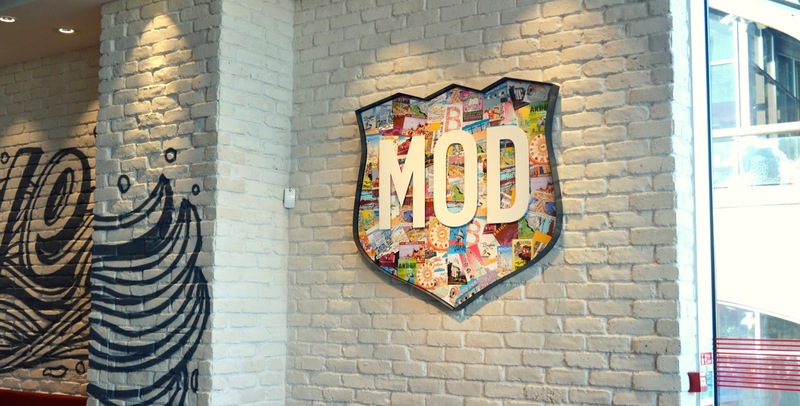 Have you tried out Mod pizza?! 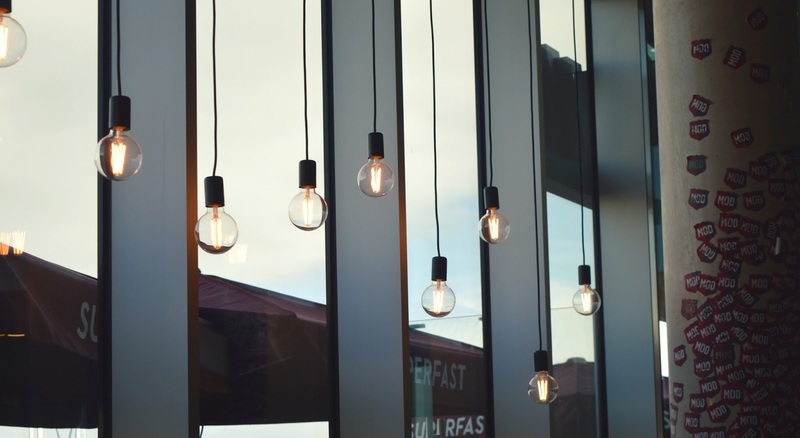 What would you have on yours? Gosh, I wish my lunch break would hurry up RN!! Those pizzas look amazing, and i love the fact that you can create your own pizza! It looks so fresh as well. Fingers crossed one will be in Essex soon! Ohh wow I absolutely love the sound of this place, having your own pizza created right in front of you delicious! What a good idea - I'm surprised no-one has come up with this before as it would work for me! This seems like such a cool place to eat. 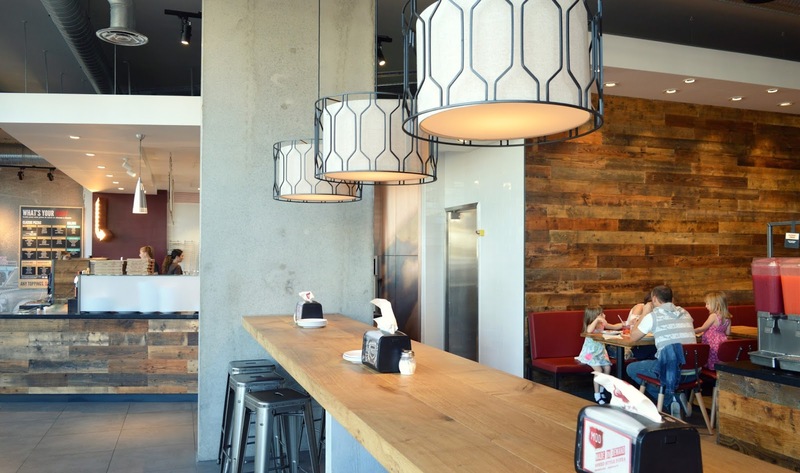 I love the interior and making my perfect pizza would be so fun. This is making hungry right now. I am okay with pineapples on my pizza because Hawaiian pizza is popular here in the Philippines. However, I wish there are more pizza places here like this so we can fully enjoy eating pizza. 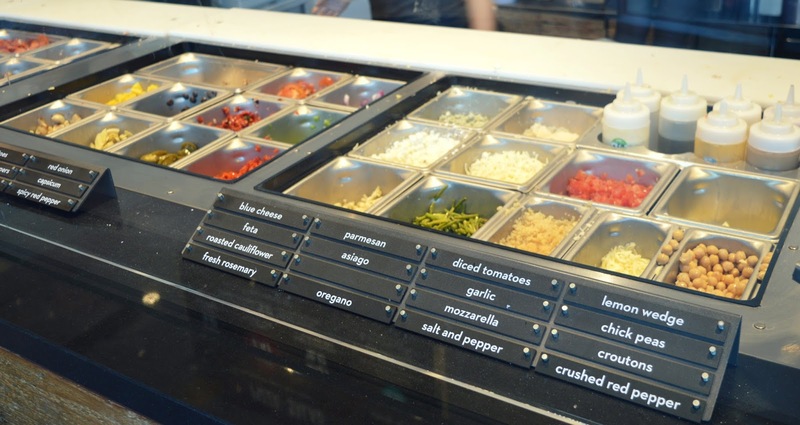 I think there is only one place here that lets you choose your pizza toppings. I would like lots of cheese and all-meat toppings on my pizza. I totally love this idea as I'm quite fussy when it comes to pizza. This sounds awesome, I really struggle with pizza places and always ask for different toppings so I'd love this! This looks great, i do like to make my ow pizzas at home so it would be nice to have someone tailor one to my taste at a restaurant. OMG how awesome is this!! 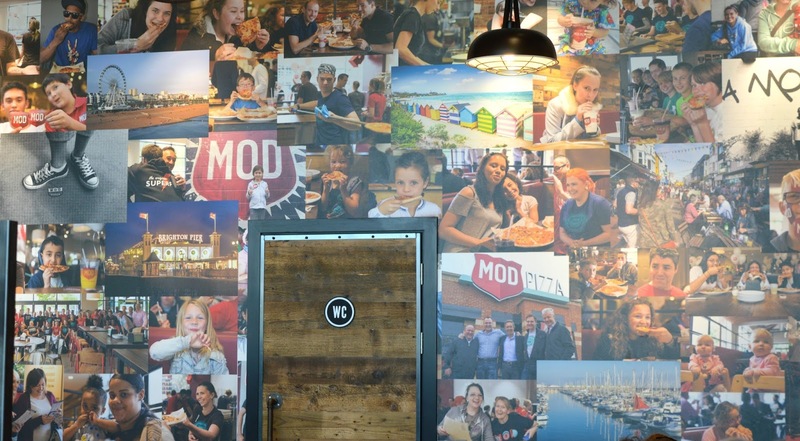 Pizza is my face and a place like this looks great for the whole family!! I love it! I've now got major pizza cravings for dinner. It looks so yummy! Okay these pizzas look delicious. I like you can choose from a wide selection of toppings too. Delicious! Its like the Subway of Pizzerias! They do look amazing! Love the range of toppings and the relaxed atmosphere! 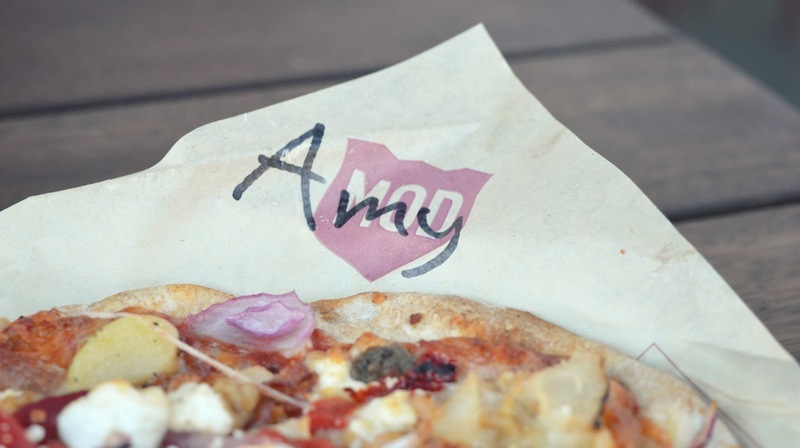 I like the sound of creating your own pizza and being able to personalise it to taste. I'm not much into pizza, but if I can decide exactly what to go on - I wouldn't mind. I like the quirky modern interior of the place too.